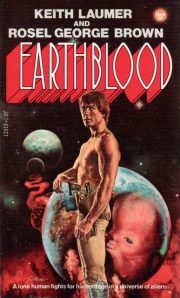 The Keith Laumer and Rosel George Brown 1966 collaboration Earthblood is a standalone space opera. Although Roan’s adopted father Raff was only a mutant human, and his adopted mother Bella a lowly Yill. Roan himself was a true-blooded pure-strain Terran—something not seen in the galaxy since the Imperial Terran Navy was swept from the skies by the Niss, five thousand years earlier. Where Roan came from, and how he found his way to a backwater world like Tambool, neither Raff nor Bella can guess. What they do know is they love their adopted son and intend to raise him as best they can. But in a galaxy populated by mutants and aliens, can there be room for even one true human?